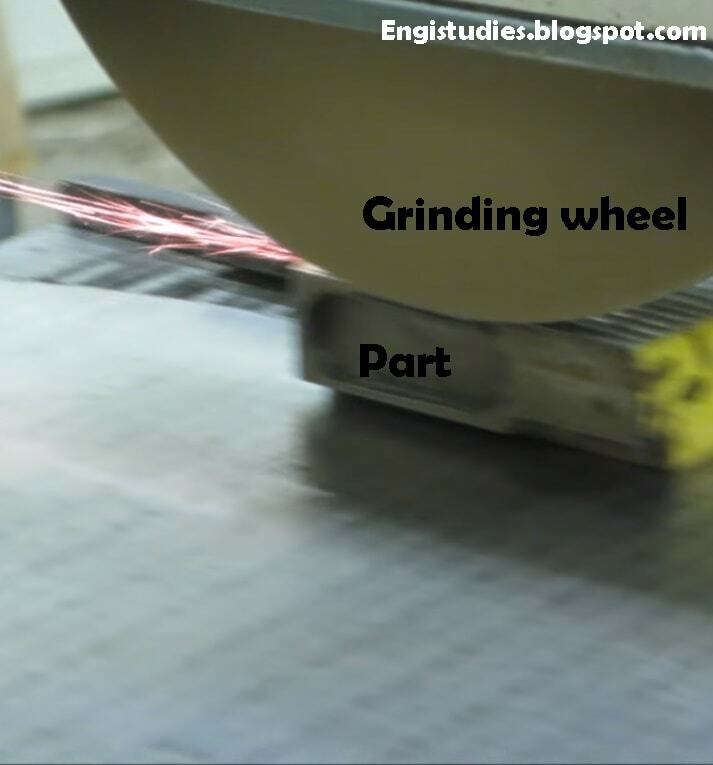 We will discuss in this post the main difference between face grinding and surface grinding. Face grinding is the process in which we use the front end of the abrasive wheel. The axis of rotation of wheel may be vertical or horizontal. The face grinding machine with vertical tool axis is used commonly because of its higher capacity and compatible design. The above image is captured while grinding a saw blade. The process produces smooth surfaces on the metallic or non-metallic parts. An abrasive grinding wheel is used in this process. This wheel keeps on rotating and the part is moved across it. The part to be machined is continuously fed against the stationary but rotating grinding wheel by moving in lateral directions. The process can give higher dimensional accuracy in lower costs. 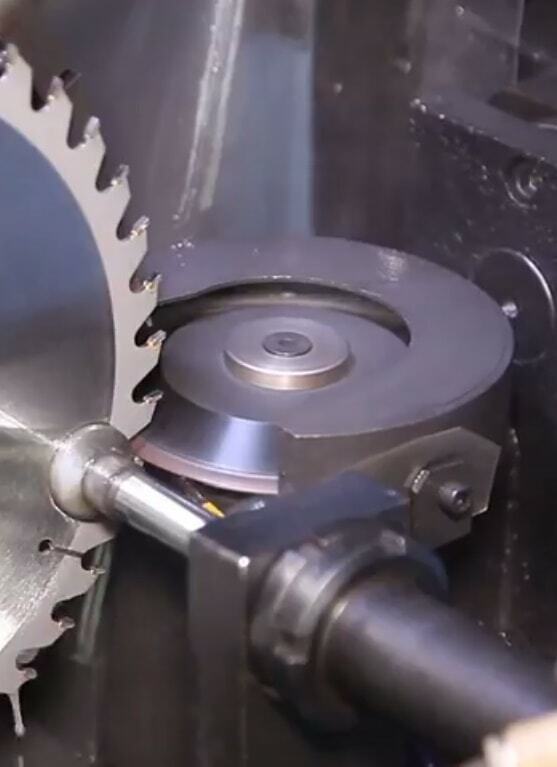 In the following video, the surface grinding machine is shown. The video explains how to set the job and do the grinding. The front side of the wheel is used to remove material. The peripheral surface is used in surface grinding. Both the part and wheel is rotated in this process. The part is moved forward and backward and wheel remains stationary but rotating about an axis. The contact area is comparatively large. The contact area is less comparatively. Due to the large contact area, we get a smooth surface with lower errors. Due to less contact area, there will be a chance of getting higher surface irregularities.